Muse Salentine is a non-profit cultural association based in Alessano (Lecce). 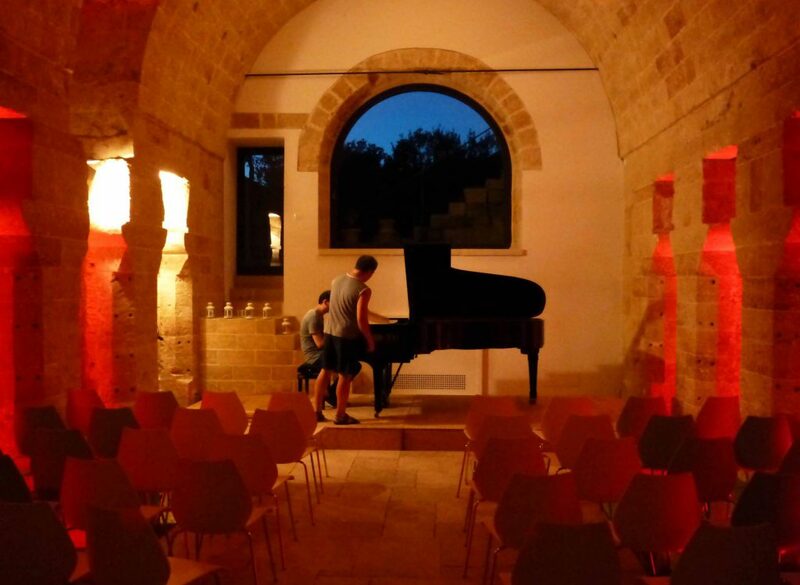 It organizes high quality musical and cultural events to highlight some of the most beautiful or historically interesting places in the Salento peninsula (Puglia). Muse Salentine each year produces a series of concerts of classical music, mainly in the summer, and in the near future, master classes and summer residences for musicians and painters. We deliberately keep the events small and informal, to create a strong link between the artists and the audience. We invite internationally renowned artists but also outstanding young talents to be discovered and we bring very diversified repertoires to acquaint the public with new works and styles. The performances are held in a variety of locations: churches, courtyards of ancient palaces and public squares. Each time the aim is to adapt the performance to the magic of a particular place. Since 2014, we started a collaboration with the prestigious Queen Elisabeth Music Chapel in Belgium. This institution offers training of excellence to gifted young musicians in piano, violin, cello, chamber music and voice. It is one of the best post-graduate music schools in the world with their eminent professors like Maria-Joao Pires, Gary Hoffmann, Augustin Dumay, José Van Dam or the Artemis Quartet. Each year, some concerts which will be performed by their musicians. Thanks to the warm support of our dear members, the Association brings more and better music to Salento and contributes to the local cultural and economic development. We invite those who wish to support us to become members of our association. You will find more information about joining in the ‘member’ section of our website. We would be happy to welcome you in Muse Salentine to enjoy a superb musical summer.